A plane attempting to land in stormy weather crashed on a small Taiwanese island late Wednesday, killing 48 people and wrecking houses and cars on the ground. 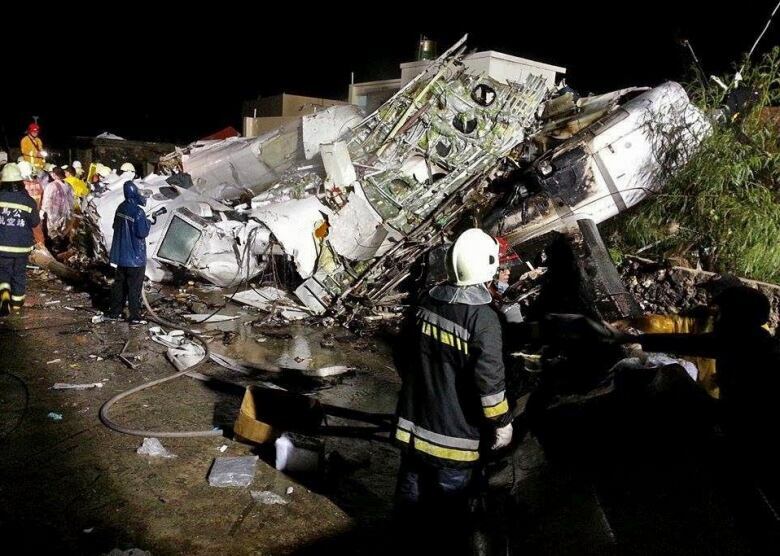 The ATR-72 operated by Taiwan's TransAsia Airways was carrying 58 passengers and crew when it crashed on Penghu in the Taiwan Strait between Taiwan and China, authorities said. The plane was arriving from the city of Kaohsiung in southern Taiwan. The crash of flight GE222 was Taiwan's first fatal air accident in 12 years and came after Typhoon Matmo passed across the island, causing heavy rains that continued into Wednesday night. Some 200 airline flights had been cancelled earlier in the day due to rain and strong winds. The official death toll was 48, according to Wen Chia-hung, spokesman for the Penghu disaster response centre. He said the 11 other people were injured. Two people aboard the plane were French citizens and the rest Taiwanese, Transport Minister Yeh Kuang-shih told reporters. The twin-engine turboprop crashed while making a second landing attempt, Yeh said. In October 2013, a Lao Airlines ATR-72 also crashed during a heavy storm as it approached Pakse Airport in southern Laos, killing all 49 people on board. Authorities were looking for one person who might have been in a house that was struck by wreckage, Wen said. A car was crushed by a toppled wall but Wen said no one was in it. President Ma Ying-jeou called it "a very sad day in the history of Taiwanese aviation," according to a spokesman for his office, Ma Wei-kuo, the government's Central News Agency reported. The plane came down in the village of Xixi outside the airport. Television stations showed rescue workers pulling bodies from wreckage. Photos in local media showed firefighters using flashlights to look through the wreckage, and buildings damaged by debris. Penghu, a scenic chain of 64 islets, is a popular tourist site about 150 kilometres southwest of the Taiwanese capital, Taipei. Residents said they heard thunder and then what sounded like an explosion, the news agency said. It cited the Central Weather Bureau as saying there were thunderstorms in the area. "I heard a loud bang," a local resident was quoted as saying by television station TVBS. "I thought it was thunder, and then I heard another bang and I saw a fireball not far away from my house." About 200 military personnel were sent to help recover the people who were on the plane, Taiwanese Defence Ministry spokesman Maj. Gen. Luo Shou-he said, according to the news agency. The ministry said military vehicles and ambulances were rushing people to hospitals and an air force rescue team was on standby to transfer survivors to Taiwan's main island if needed for treatment, the agency reported. The flight left Kaohsiung at 4:53 p.m. for Magong on Penghu, according to the head of Taiwan's Civil Aeronautics Administration, Jean Shen. The plane lost contact with the tower at 7:06 p.m. after saying it would make a second landing attempt. 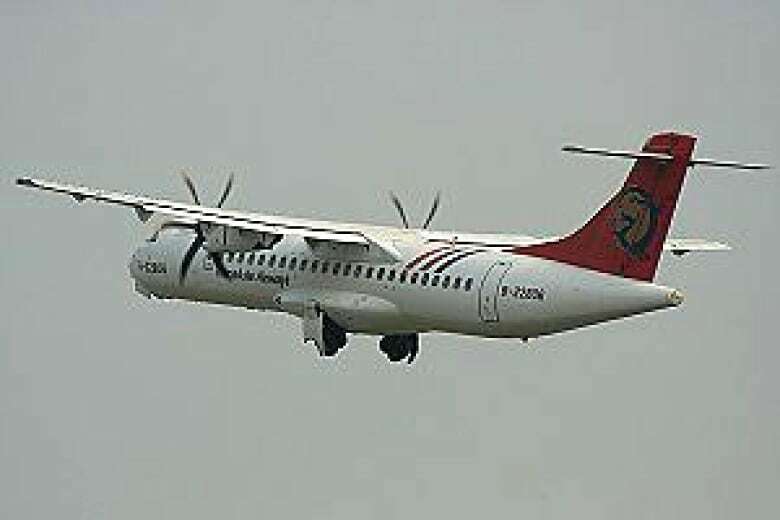 Visibility as the plane approached was 1,600 metres, which met standards for landing, and two flights had landed before GE222, one at 5:34 p.m. and the other at 6:57 p.m., the aviation agency reported. Shen said the plane was 14 years old. The Central News Agency, citing the county fire department, said it appeared heavy rain reduced visibility and the pilot was forced to pull up and make the second landing attempt. Taiwan was battered by Matmo overnight Tuesday, and the Central Weather Bureau warned of heavy rain Wednesday evening, even after the centre of the storm had moved west to mainland China. In Taipei, TransAsia Airways' general manager, Hsu Yi-Tsung, bowed deeply before reporters and tearfully apologized for the accident, the news agency said. "As TransAsia is responsible for this matter, we apologize. We apologize," Hsu said. 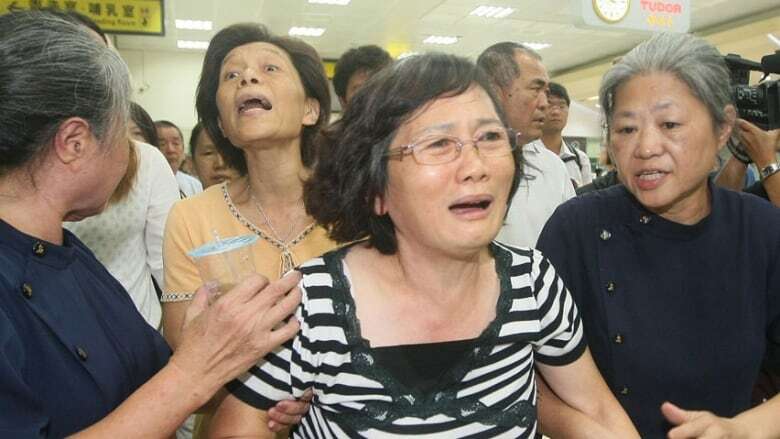 Hsu said the carrier would take relatives of passengers to Magong on Thursday morning and would spare no effort in the rescue and in handling the aftermath, the report said. Taiwan's last major aviation disaster also was near Penghu. In 2002, a China Airlines Boeing 747 broke apart in midair and crashed into the Taiwan Strait, killing all 225 people aboard. In an earlier version of this story, a photo caption misidentified an aircraft as an ATR-72.